Hat Yai – the largest district of Songkhla – is the trading capital of the deep south. The municipality is about 920 kilometres south of Bangkok, and like many southern provinces along the historic commercial routes, Hat Yai is a multi-cultural city with local Southern, Thai-Chinese and Thai-Muslim coexisting in a large and diverse community. Chances are you will hear about Hat Yai because of their famous deliciousness. But in truth, Hat Yai has so much more to offer. 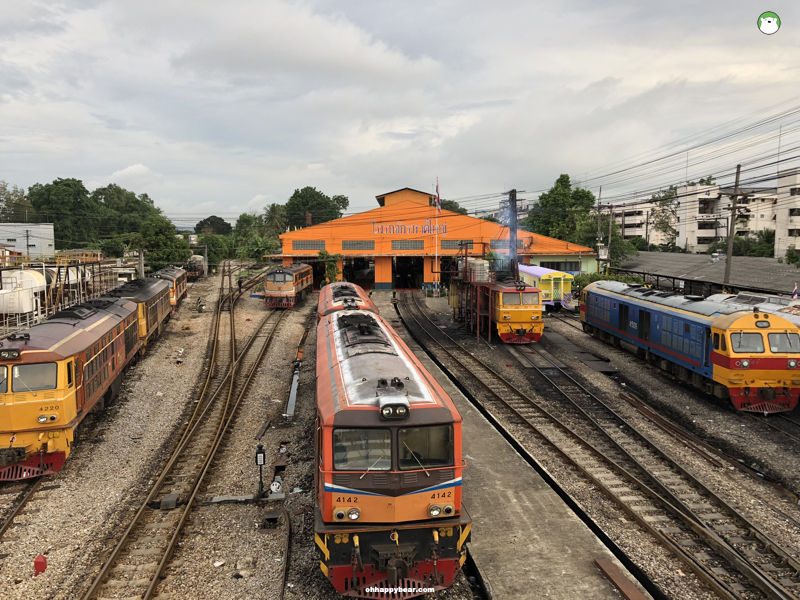 This community was founded by the convergence of the railroads, with the Hat Yai Junction Station directly linking the city to Bangkok, other deeper southern provinces, and thorough to many parts of Malaysia. 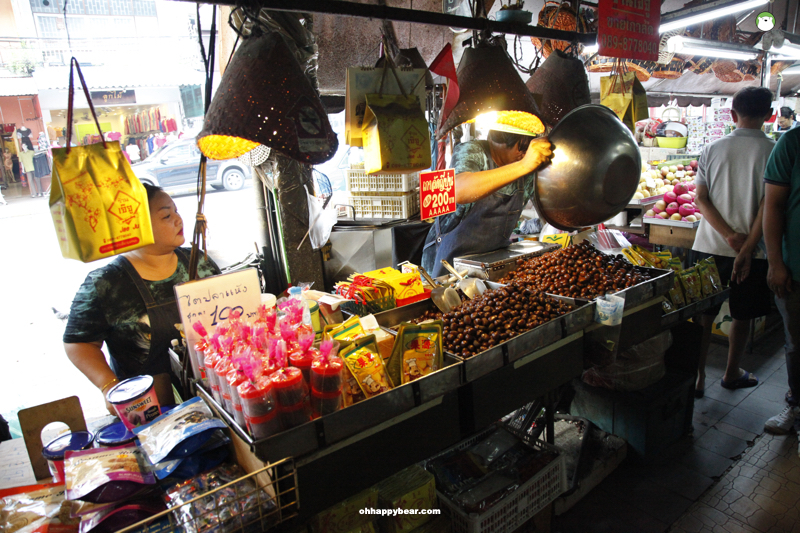 Hat Yai is a great choice if you are looking for a vibrant change in sceneries. Plus if you want to explore the deep south of Thailand, Hat Yai is definitely a perfect spot to locate a fine accommodation to stay with chances to hop around anก enjoy the nearby parts. 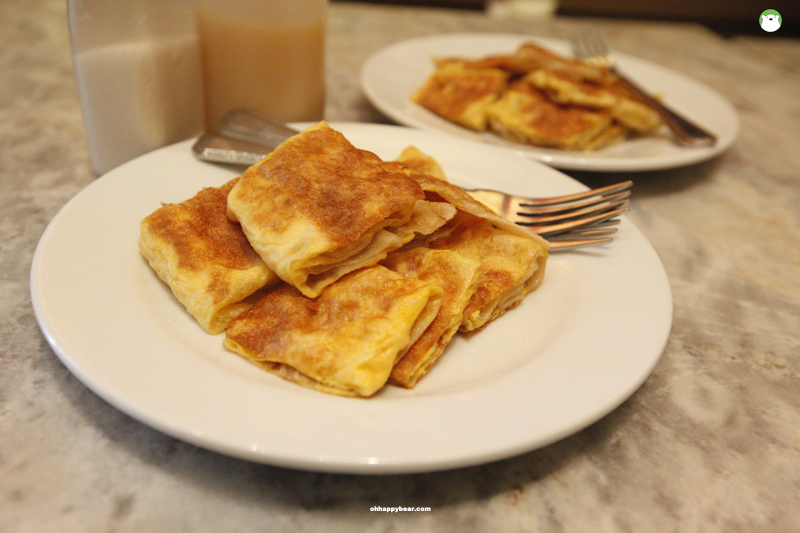 Above: Soft roti with banana and eggs fillings at the Tunnel Market, Hat Yai. Very well made and delicious. Freshly made roti and frothy and smooth hand-pulled milk tea is a rite of passage to the Thai southern lands. 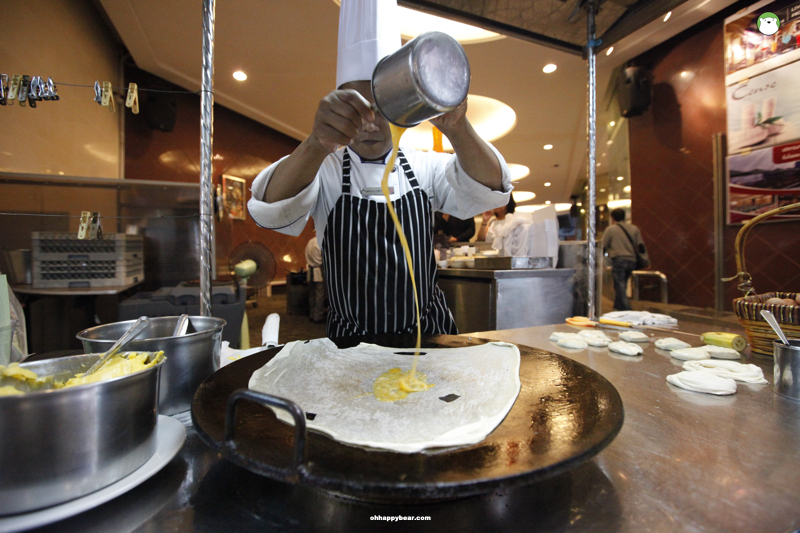 A result of their multi-cultural nature, roti is a Muslim staple that has been adopted into the Thai southern taste buds. Now, roti has been glammed up quite a bit with unorthodox servings including the ‘tissue-thin’ and more indulging fillings such as hot fudge, chocolate sauce, or even curries. 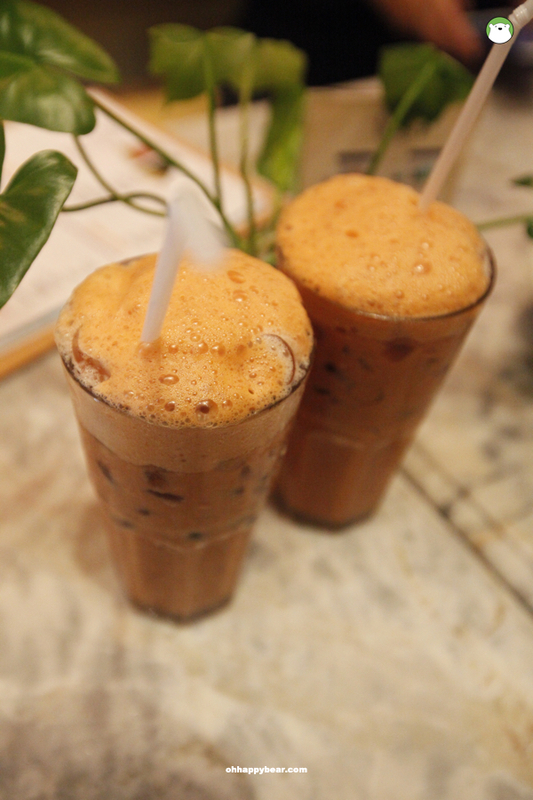 Above: Pulled milk tea – nicely frothy and smooth. You can tell them to tone down the sugar if you like it a little bitter and fragrant. 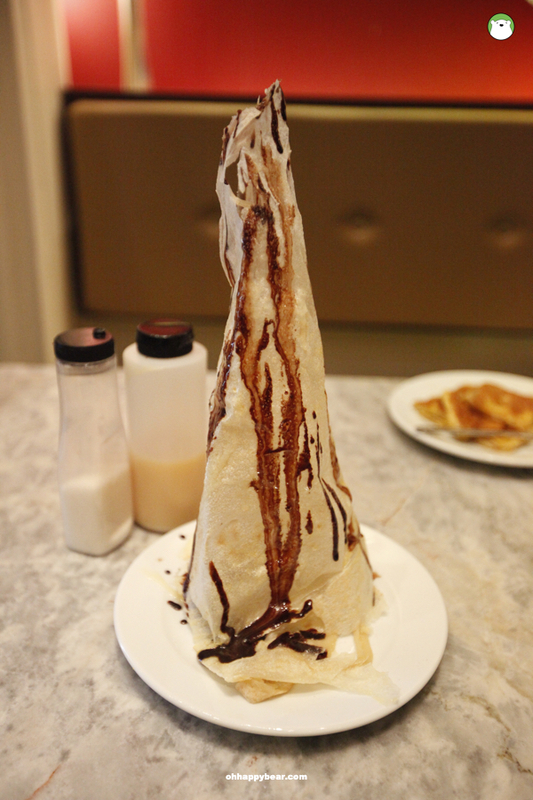 Above: Tissue-thin roti with chocolate sauce and extra condensed milk. Above: We also tried their Pad Thai. Very well-done. Tasty, good quality noodle and great stir-frying. Delish! 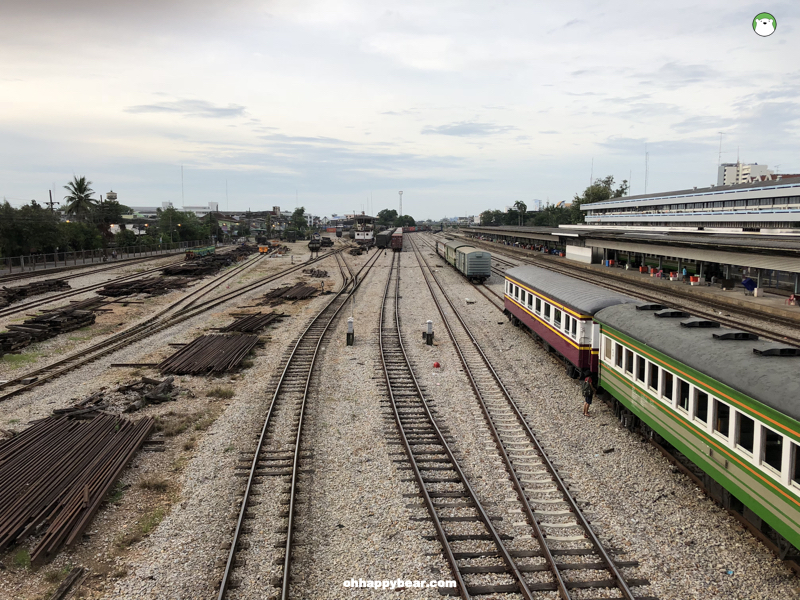 Above: Hat Yai Junction train depot. This picture was taken from the footbridge across their multi-platforms. Awesome. Hat Yai’s downtown is a small, walkable cluster not too far from its railway station. As aforementioned, Hat Yai is a city built by railroads, hence no wonders if the main business areas of the city are all here. If you are a railfan, you can take a train from Hat Yai all the way to Butterworth in Penang, Malaysia. Pa Yang is a family-run restaurant named after its current location that used to be a rubber plantation (can you imagine?). 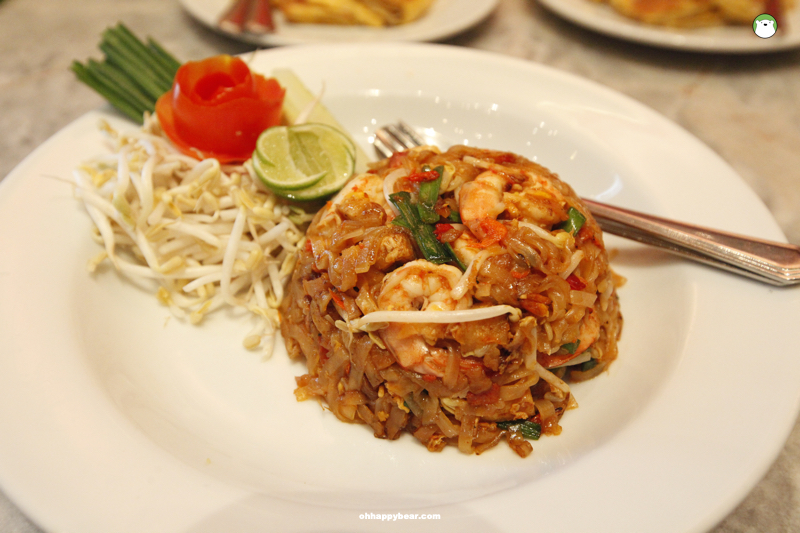 They serve typical southern-style Thai dishes, plus the family’s own repertoire. For example, ‘Tom Kati Goong Mae Nam’ or their river prawns in coconut milk soup (with assorted local vegetables), ‘Gaeng Som Pla’ or spicy clear curry with fish and ‘Bai Liang Pad Kai’ or stir-fried Gnetum gnemon with eggs to tone down the spices. 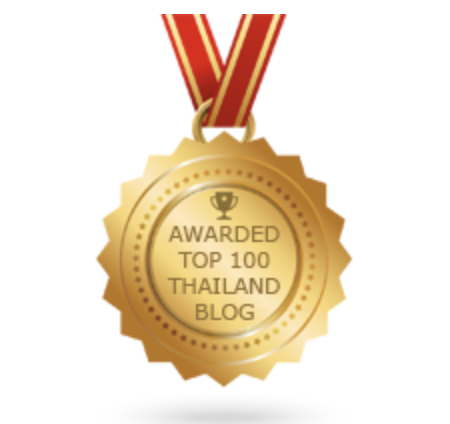 For a complete review of this restaurant (a must if you are in Hat Yai), read here. Pa yang Restaurant: Thumnoonvithi Road, Hat Yai. Daily: 11.00 – 22.00. T: (+66) 081-099-7888. Ko Yor – a small sub-district island in the Songkhla Lake – is the province’s cradle for real local living. 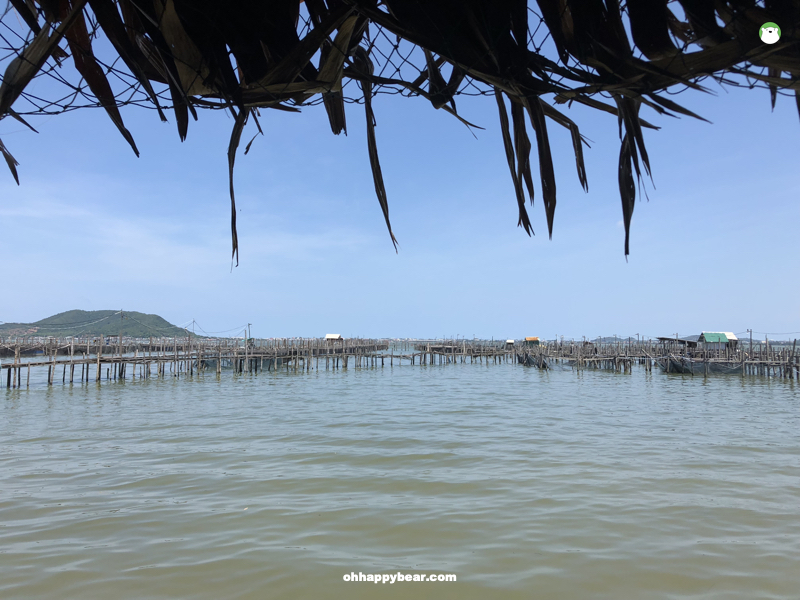 This small island is about 30 minutes drive from Hat Yai city and would make a great day trip filled with sea breeze and sunlight. We spent our morning browsing through wonderful native collections at the Folklore Museum. We also did a round drive along the island’s local ring road before heading to lunch at Sirada Restaurant. 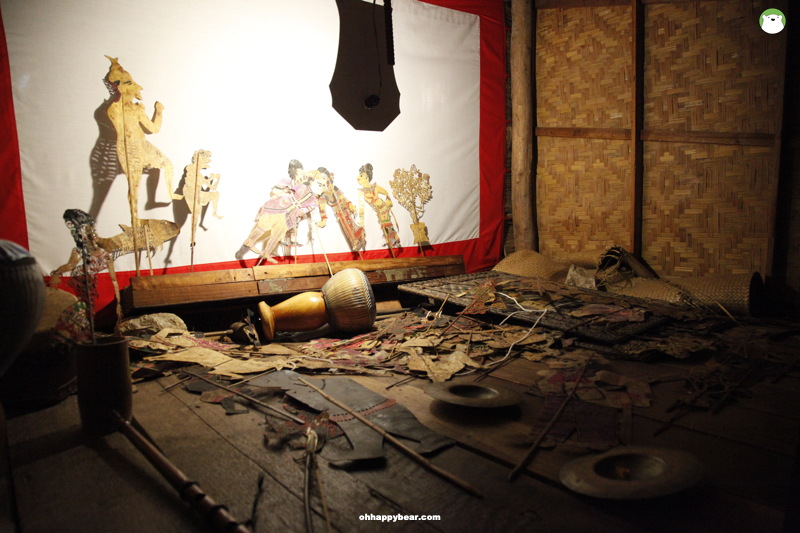 Above: The backstage of Nang Talung or the shadow performance which is a very unique culture of the Thai South. Above: Coconuts are aplenty in Thailand, especially the southern sphere. And here are coconut graters in various shapes and forms on display at the Folklore Museum on Ko Yo. 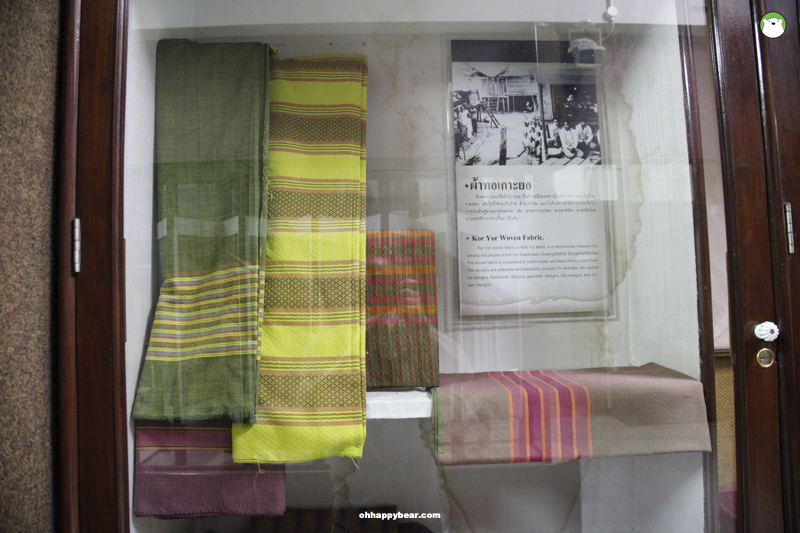 Above: Ko Yo is known for their locally woven fabric called ‘Pa Tor Ko Yo.’ Exquisite colour combinations. I really like the green and yellow blends. Perching on a hill, the Folklore Museum is also an excellent spot to get the panoramic view of the Songkhla Lake. 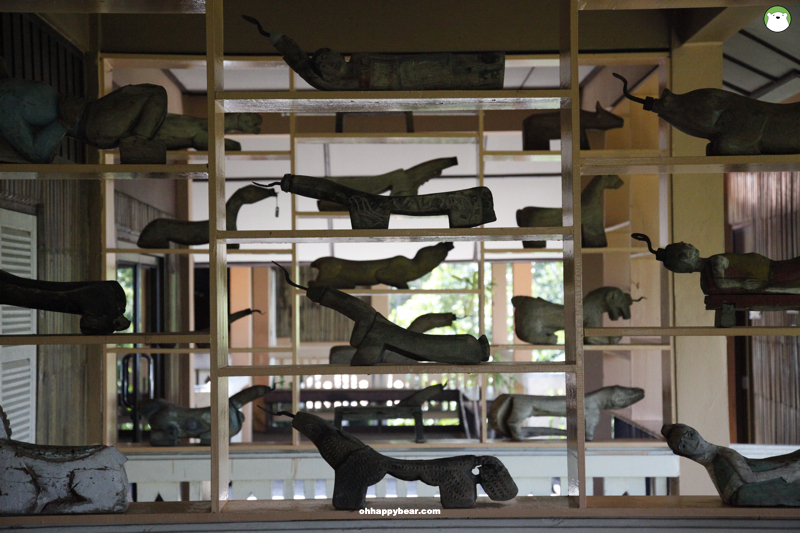 As a long-standing institution that promotes Southern language and culture, this museum houses over 50,000 artefacts that – if you have time to look through – will make one understand more about the unique cultures of the Thai South. From history and ethnology to pottery, cooking, crafts, song and dance. A great place if you like to know the roots of the place you are visiting. Folklore Museum, The Institute for Southern Thai Studies, Ko Yo Sub-District, Songkhla. Open daily (closed Tuesdays): 08.30 – 17.00. Fee Bt100. T: (+66) 074 591 611-8. Above: Yum pla dook foo (crispy catfish spicy salad with green mango) at Sirada Restaurant, Ko Yor, Songkhla. Above: The view of the Songkhla Lake from our table at Sirada Restaurant. 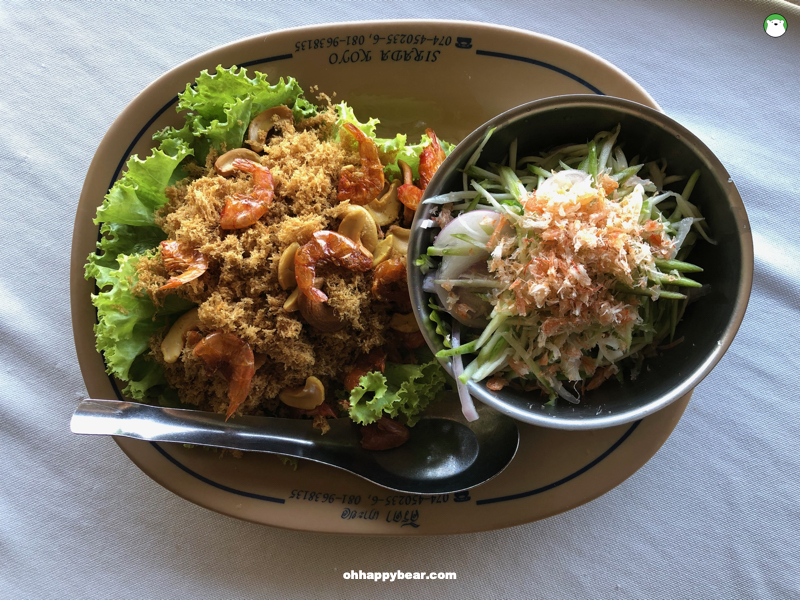 Located right at the fishing bay, Sirada serves a wide array of seafood cooked Southern style (read: spicy and super tasty that I happen to like best :). If possible, get a table by the bay with the view of the fishing creels. I love their hot pot of Gaeng Som Pu Talay or spicy clear curry of mud crab, stir-fried bai liang and yum pla dook foo (crispy catfish spicy salad with green mango). Awesome. 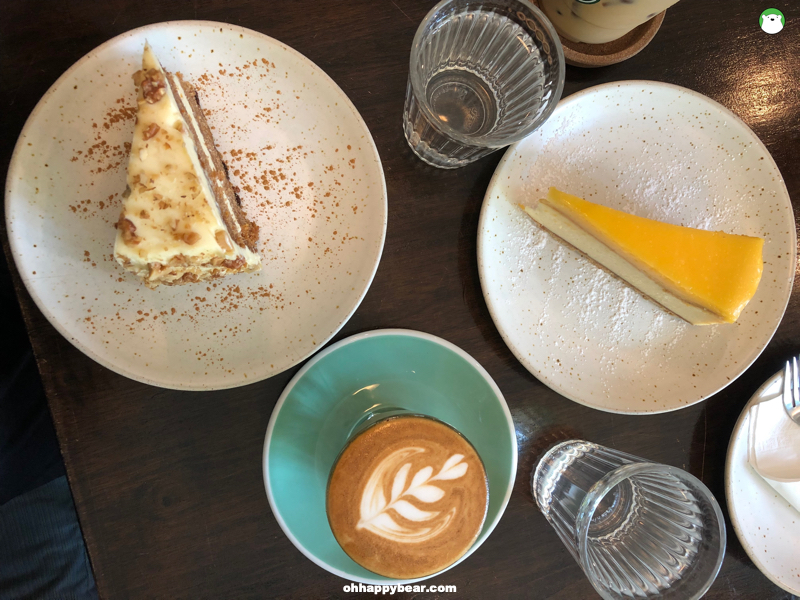 Above: Carrot cake, lemon cheesecake, a latte at The Company Cafe, Hat Yai. 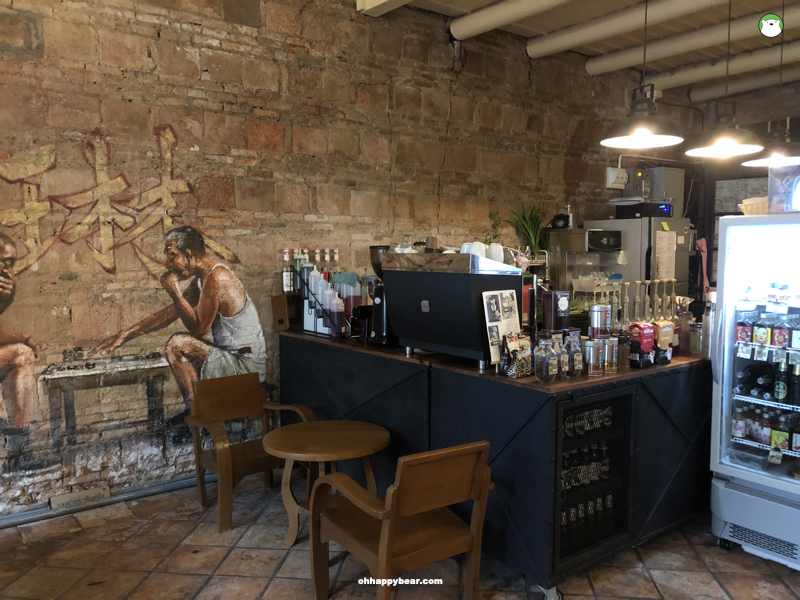 If the tasty savouries at Sirada leave you with an uncontrollable desire for a good coffee, don’t fight it and head back to Hat Yai and savour it at The Company. 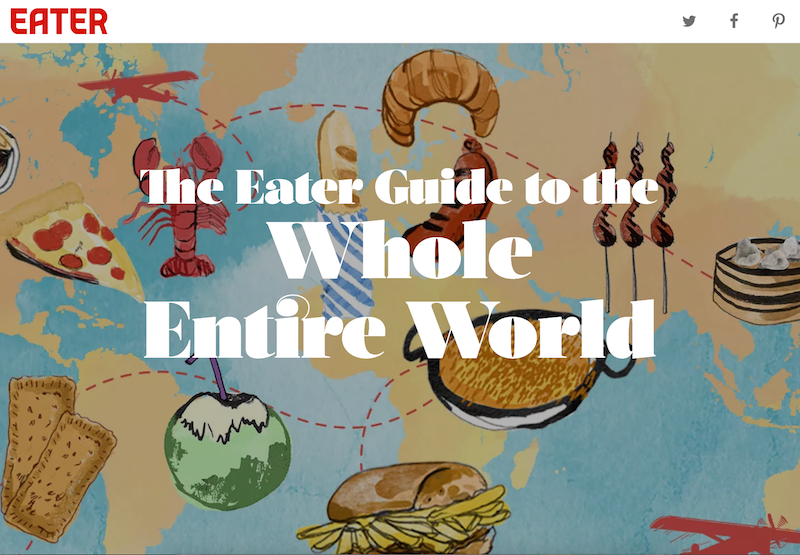 This place was recommended to us by a local foodie and we were not disappointed. This small place was packed when we arrived, with people sipping their drinks and nibbling along the delicious homemade cakes. The Company Cafe: 28 Rajyindee Soi 7, Hat Yai, Daily: 07.30 – 20.00. T: (+66) 088 790 2568. Do what we did not do and get to the right hill. 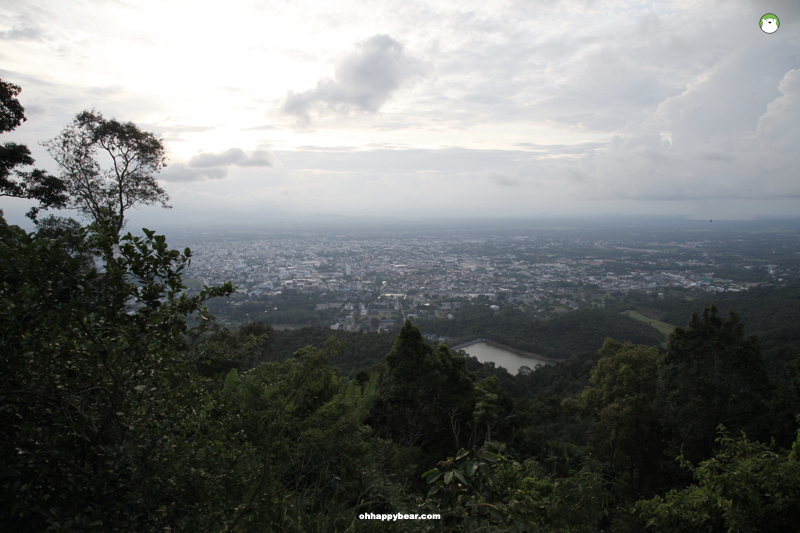 The panoramic view of the entire city of Hat Yai City can be attained from the top of the Hat Yai Municipal Park. Same place as their cable car that links the Guan Yin and Buddha statues on one side with another worship place called ‘Elephant Temple’ or Brahman Shrine. The best time to go there is just before the sunset. The cable car is optional. Above: Saneha Cafe fried rice with Phuket style nam prik goong siep. Very tasty and well done. Above: Saneha Cafe’s delicious river prawns in tamarind sauce. 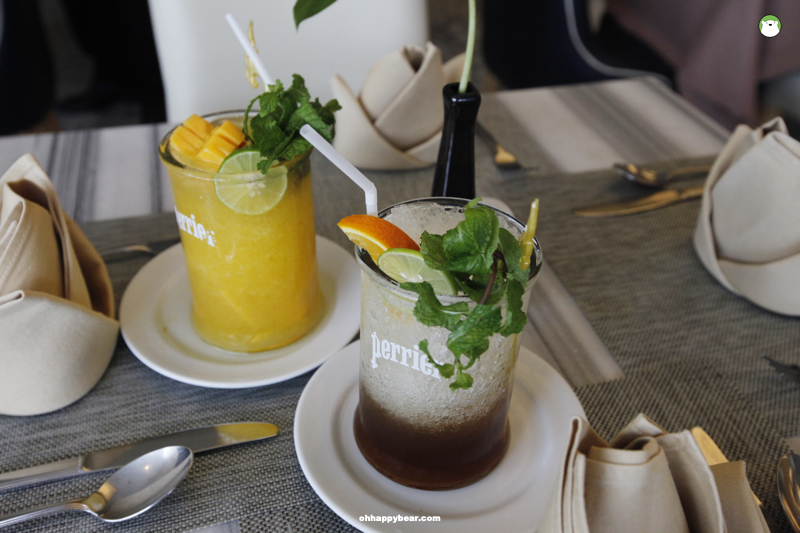 Above: Saneha Cafe’s drink promotions during our stay being Perrier-based drinks. 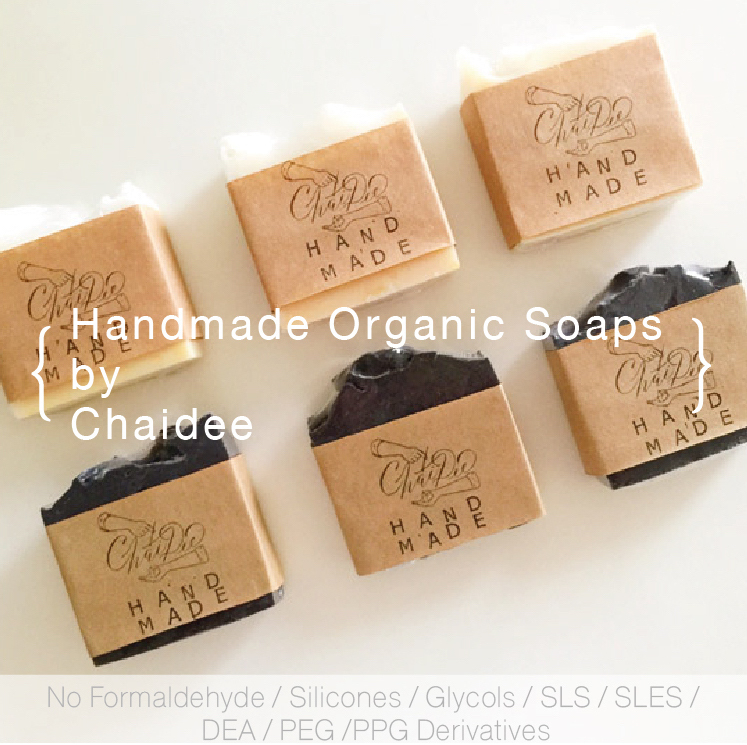 Pictured are mango and lime and honey and lemon. Refreshing. After a long day, we wanted to tuck in easy and delicious. The Halal-certified Saneha cafe at Centara Hat Yai is the place for breakfast and all-day dining. 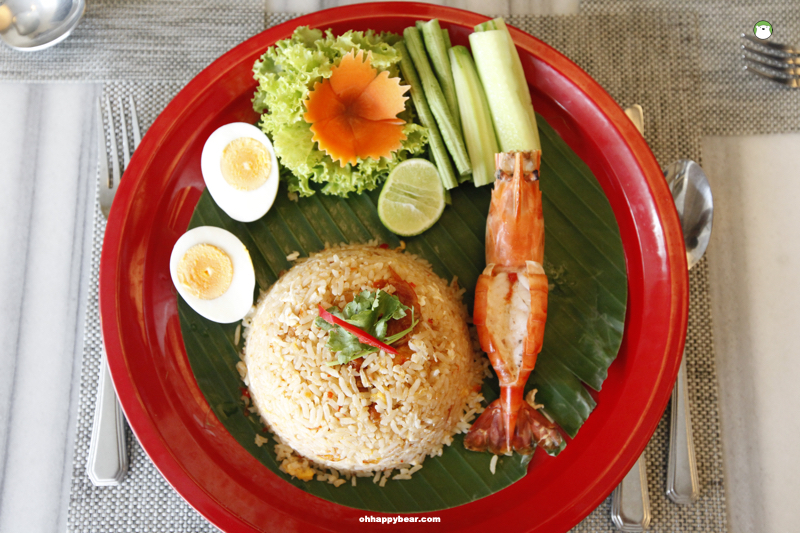 Their international menu is Asian friendly, with highlights being Phuket-style stir-fried rice with crispy shrimp chilli paste served with grilled river prawn and a soft-boiled egg. 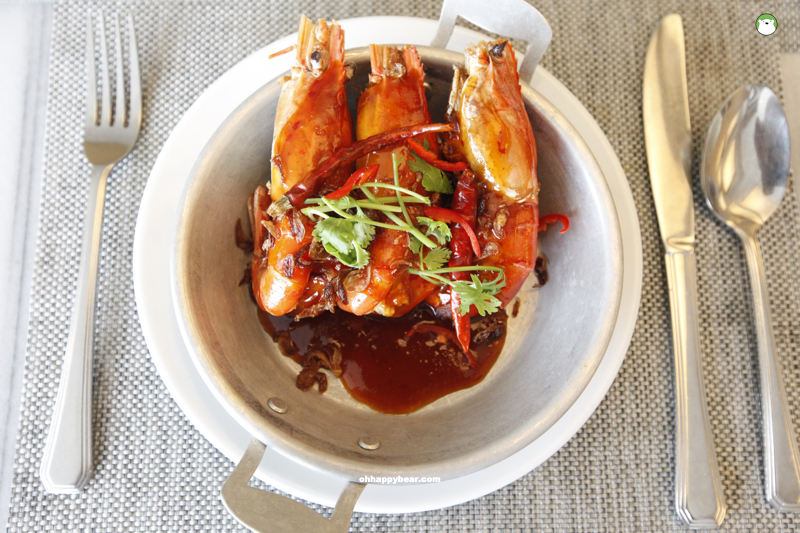 Also delicious is their river prawns with tamarind sauce. Also, check out the hotel’s monthly drink promotions. 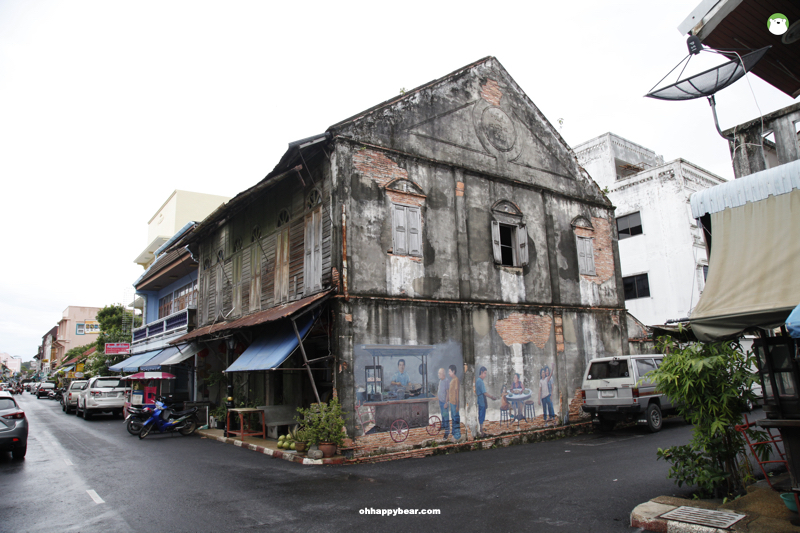 Above: Songkhla town is dotted with street art and historical shophouses. Hope you get a late flight back because you cannot come all the way to Hat Yai and miss the charming Muang District of Songkla which, by the way, is the capital district of the province. 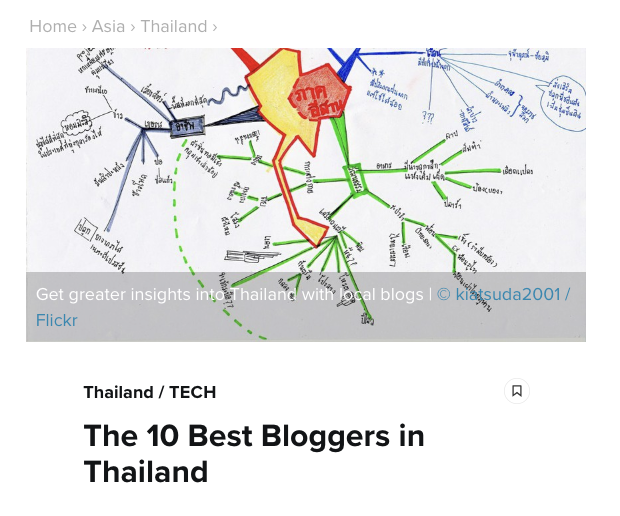 Songkhla has somehow recently made it to the top list of Thai travellers thanks to the collective efforts of the locals who are determined to promote their hometown. If you like steamed bao, you will love this place. As old as almost a century and still run and cooked by the same family, Kiat Fang serves giant steamed buns of assorted fillings. 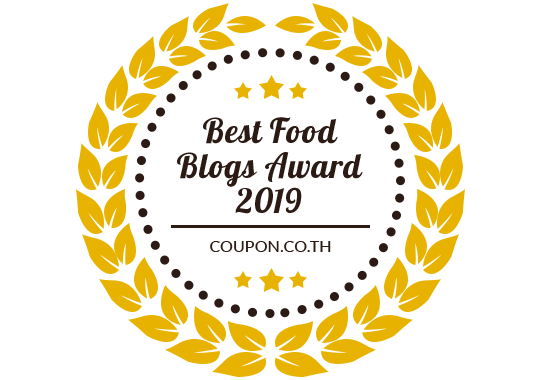 From minced pork to cream and to black beans. Also delicious is their pork stew rice where you get to choose if you want ‘everything’ meaning pork, chicken, pork sausage, and entrails or just whatever you want. I would just go for the crispy pork and the chicken. The thin, runny stew sauce (that the owner said also contains coconut milk which I found no taste trace of 🙂 is served with a spicy seafood style sauce (chopped chillies + garlic + lime) and steamed rice as in above picture. Kiat Fang, Nang Ngam Road, Songkla. Daily: 07.00 – 17.00 (the baos run out fast, best to go early, no later than noon), T: (+66) 074 311 998. Above: Lyn’s Cafe in Songkhla is set in a refurbished historic shophouse. Coffees aside, they also serve eclectic drinks and foods. Lyn’s Cafe, Nakhonnai Road, Songkla. Daily (closed Tuesdays: 09.30 – 21.00, T: (+66) 083-243-9977. You cannot come to Hat Yai without trying their particular and exclusive dessert of ‘mun doey.’ Mun being candied tapioca roots and doey being candied job’s tears. Other trimmings include mashed red beans, candied pineapple – all served with a scoop of crushed ice and ladles of coconut cream. Yummy, refreshing and very naturally vegan :D.
Above: Gim Yong Market is most vibrant early in the morning, with their fresh produce zones lining around the market building while the building itself has a vast array of shops selling imported foods, snacks and everything. 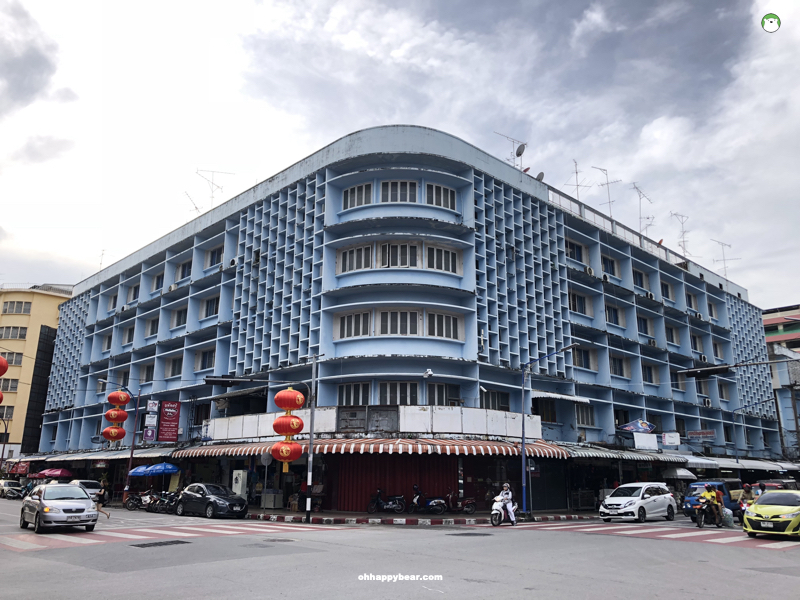 Established by a wealthy merchant back in the day, Gim Yong market used to be a synonym of Hat Yai where people love to come to shop for all things. From imported produce to packed snacks to electronic goods and fruits. I particularly like imported nuts and legumes. This is where we first learnt how to open macadamia nut and walnut. See my Instagram video above. Gim Yong Market: Daily: from dawn until late afternoon. Above: Our fabulous room for our long weekend in Hat Yai. Apartment-style with a living room, a kitchenette and a sliding doors that partition off the bedroom. 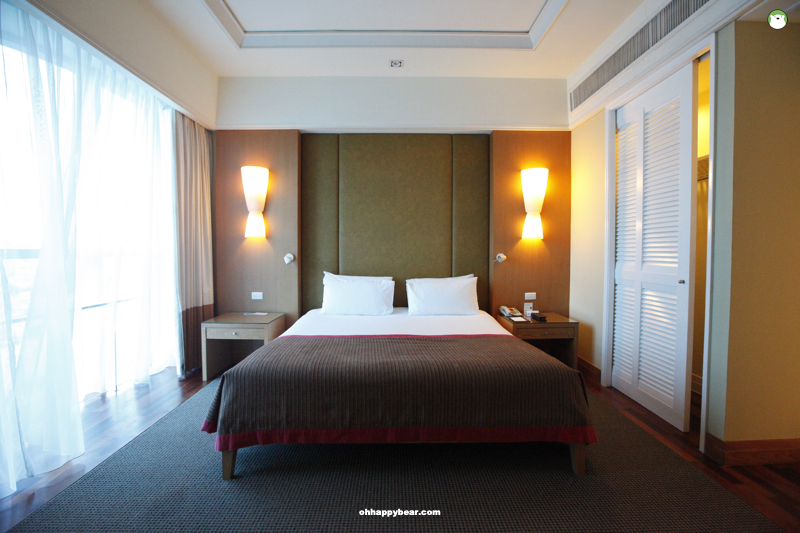 We had a wonderful stay at the centrally-located Centara Hat Yai. 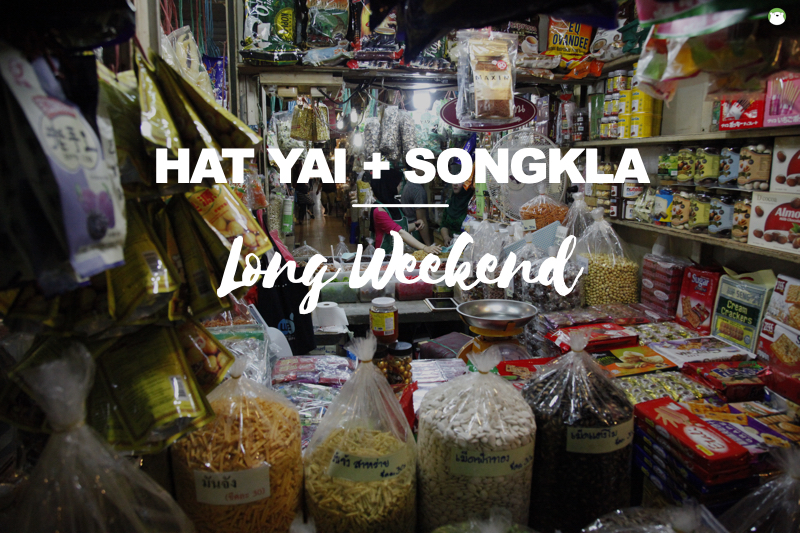 Walkable to the Hat Yai Junction, Gim Yong market and all the deliciousness the city has to offer. Also, it is a great idea to opt for their top-floor apartment room with own fully-equipped kitchenette, living room and a walk-in closet. Perfect for a working vacation where one needs to wake up early to finish writing, hence a desperate need to make one’s own dripped coffee, without bothering one’s better half. 😀 For a full review of the hotel, read here.